Mon-Fri peaks and Saturday extended from Camden Town to Parliament Hill Fields. Sunday extended from Victoria to Parliament Hill Fields. Sunday withdrawn between Victoria and Parliament Hill Fields. Sunday only GM allocation withdrawn. Sunday withdrawn - replaced by Sunday only 39A. Withdrawn between Camden Town and Parliament Hill Fields and further withdrawn between Trafalgar Square and Camden Town Saturday pm. Mon-Sat extended from Camden to Parliament Hill Fields at all times. This was part of Trolleybus Replacement program Stage 9. Mon-Fri Route diverted at Charing Cross via Oxford Circus - Camden Town - and Holloway to Finsbury Park and further extended peaks to Tottenham Garage replacing withdrawn 276. Saturday Route remained unaltered but renumbered 39A. Holloway (J) allocation replaced by Chalk Farm (CF). Chalk Farm (CF) allocation converted to RT type. Battersea (B) allocation converted to RT type. Withdrawn between Oxford Circus and Finsbury Park / Tottenham. Chalk Farm allocation withdrawn. 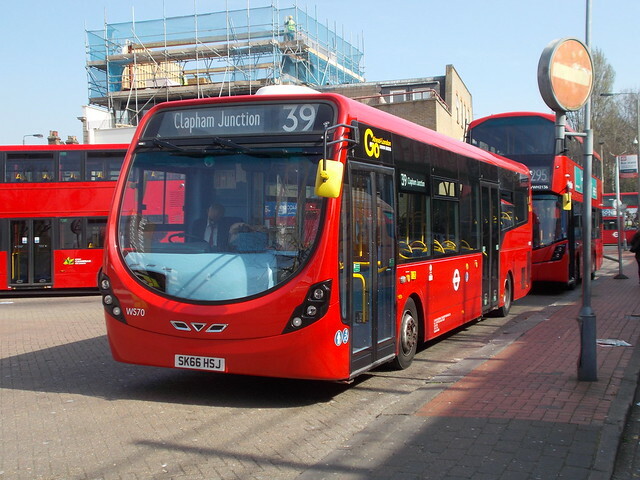 Saturday Route re-routed at Battersea Bridge via Fulham Road to South Kensington Station thus renumbered 39A. Converted to double deck OPO. Extended from Southfields to Putney. Sunday Route introduced between Battersea and Putney Bridge Station. 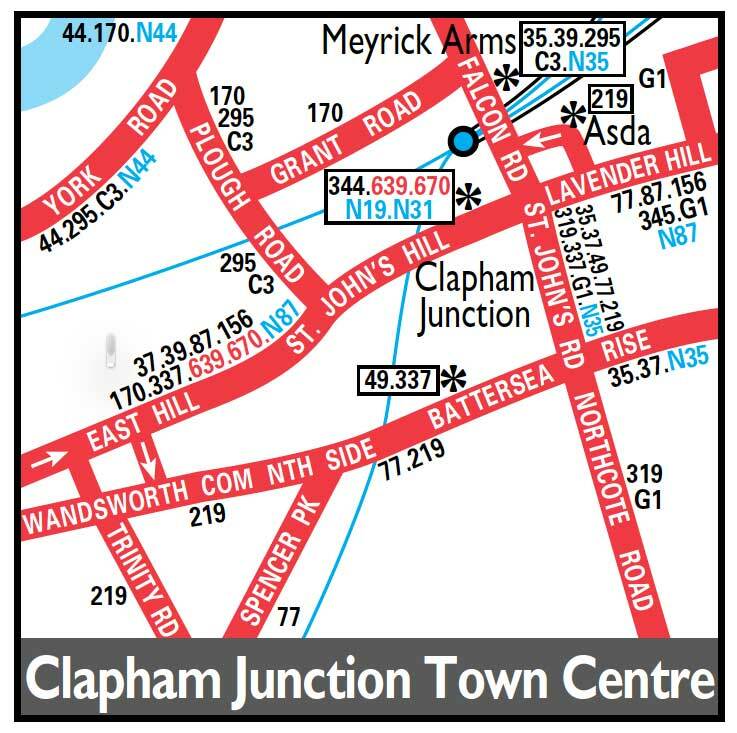 Evening Route withdrawn between Clapham Junction and Victoria. DMS type withdrawn in favour of Metrobuses. Battersea (B) closed - allocation moved to Gillingham Street (GM) and Putney (AF) thus evening Route extended from Battersea to Victoria. Putney (AF) allocation withdrawn - but Wandsworth (WD) introduced. Putney (AF) allocation re-introduced but Wandsworth (WD) withdrawn. Saturday GM transferred to Putney (AF). Withdrawn between Clapham Junction and Victoria - replaced by new 239. Rerouted in Wandsworth via York Road and Plough Road instead of East Hill. Reverted to East Hill instead of Plough Road. Rerouted in Southfields towards Putney via Southmead Road - Beaumont Road - West Hill instead of Princes Way and Withycomb Road. 1-most changeovers are via ferry car @ Southfields station - with ..
2- Occasional changeovers in Putney High Street.